If you've been paying attention to the Blog Posts during the last year, yo will have noticed we no longer just mention the "Shop Specific" promotions. Why would we? The Marketplace is a whole other sales ares for us. 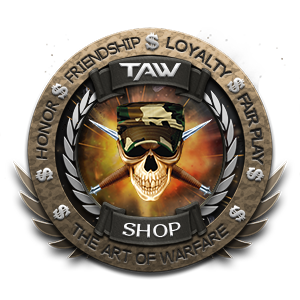 It allows the members to go to spreadshirt NA or spreadshirt EU, and start from the ground up on creating your TAW Swag. The products we put in the TAW Shop are base designs that allow you to customize and edit the products so they become more personalized. We just give you a base look, so you have an idea of how it would look. The Marketplace is just an extension of that. This is a perfect time to get yourself that Division Wear or TAW Love shirt you've been eyeing. Nah, you deserve it, get em both!!! It is 20% off when buying 2 or more products anyways. I'm currently looking for a few people to fill some of the positions we have available, note that most these will require field specific experience prior to taking this role. We provide multiple collaboration tools & there's always someone around in case of any operational questions. We try to have SOCOP-wide meetings every 2nd Saturday at 9:00BST/16:00EDT. I would like to stress that all of these roles are long term, meaning that I expect a fair level of dedication, independency and activity from anyone within my team. Creates and manages content for our Youtube channel, mainly with content provided by other members of the community. Also looking for someone that has experience within the social media area, that is capable of keeping our Facebook page up to date with a healthy variety of posts, events, polls, etc. 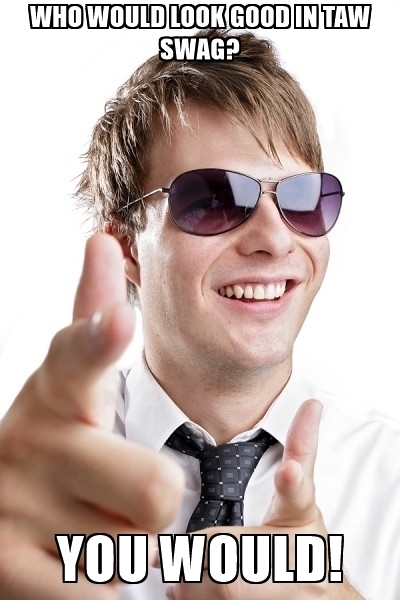 - Experience with managing social media pages, or extremely eager to learn how to do this. We have recently added a new position within SOCOP to support PIA's in army. This would consist of assisting division staff with finding a suitable PIA, training & guiding them where necessary while holding regular meetings. If you're interested or have any additional questions please feel free to message me on teamspeak, or drop me an email with your tag, the role you're interested in, previous experience and anything else you'd like to submit. Become a TAW Radio Ultimate 'Sinner' Be famous! Based on the Ozzy channel on XM....please submit 10 songs [ANY 10 that are TAW appropriate i.e. CoE] to cherry@taw.net and you may be selected to be a "Cherry's Ultimate Sinner!" Your 10 songs could be featured during my next broadcast! My "A-Team Show" airs Sunday nights 5-8PM PST. well... at least twos, in this case! At TAW Shop we truly believe that sharing is caring. And what would be the ultimate internationally and cross-culturally understood sign of affection? With that in mind we encourage you to share the love for TAW with those that you care about in real life! Treat yourself with something nice, share an extra piece of amazing swag (such as our new St. Valentine's shirts and hoodies) with someone and get 20% off! Never bought anything from the store yet? Let us recommend you starting with your Division custom wear! Are you with us in the Operations? We've got you covered - just check out our shiny new Operations tees and hoodies! Having trouble waking up after all night gaming? Wake up with your favourite coffee in your newly beloved TAW mug! 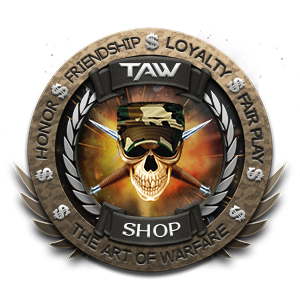 But above all, once you complete your purchase get back to us to collect a unique swagster tab on your TAW dossier. Whats going on everyone?! Your friendly Radio Manager PetersonUSMC here some exciting news and a new weekly event! Want to get ahead of the game to make sure your unit wins? You can send 2 requests per week ahead of time to tawradio17@gmail.com just make sure to leave your Callsign and Unit in the email and title the email as TAW Radio Invasion Requests! We hope you all enjoy this awesome new show and look forward to seeing all the great requests come through! Ah Valentine's Day. The day that we annually celebrate our love for our significant other (in addition to an anniversary ofc). The day where that little sadistic cherub Cupid pulls out his bow and arrow, taking aim....shooting people in the heart so they fall in love. But one love we all have, is for our community called TAW. Where that little tubby cherub has stuck us all. We all love this community, and in the season of love, under the categories of "Special T-Shirt" and "Special Hoodies" for NA and "Special T-Shirts" for EU, we at TAW Shop are happy to present to you our Valentine's Day Line Up. 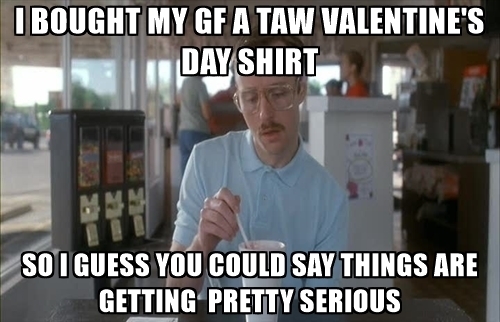 The Valentine's Day designs show that TAW is alive in all our hearts. So show some love, buy yourself or your loved one a Valentine's Day shirt or Hoodie. *Like all Shop Products, you can change the product and color of the item the designs sit on. Be sure to check wiki often as it will be updated when information is gathered and verified. Our first TeamSpeak event for 2018 is today – 13 January at 8pm BST. Holodrive is a super-fast-paced collectable 2D multiplayer shooter. Create your robot, customize it and jetpack your way to victory! Be sure to download the game and play the tutorial before the event tonight! On another note, SOCOP is pleased to introduce a new tournament “Glory of TAW”. The event is a two part round robin & single elimination tournament separate from TAW@WAR and still in the development stages. Therefore we need your help to finalize the blueprints; please take 5 minutes to complete a survey and help us create a fantastic tournament. Happy New Year from all of us at SOCOP! Holodrive is a super fast-paced collectable 2D multiplayer shooter. Create your robot, customize it and jetpack your way to victory! We look forward to seeing you this Saturday! Commander In Chief (CIC) elections! Kingcheese | Tazmanian | Subrat have been nominated for TAW’s most sacred position – the CIC. Get to know them by reviewing their Candidacy Dossiers. On 21st January, a RoundTable Interview will be held with all the candidates. This is your chance to quiz and question your future CIC. More information about the Election Policy and Question Submission can be found here. 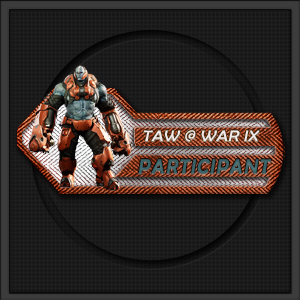 The first of two TAW@WAR bi-annual events will take place! A special announcement will be made regarding the chosen game at the end of January. Be on the look out for this amazing event! SOCOP will be having their first official EU Meet & Greet, taking place at the FACTS Belgian Comic Con from 7-8 April 2018 in Ghent, Belgium. We would like to invite you to join us in meeting members of TAW! We will try to purchase group tickets, so if you are interested please fill in this pre-registration form by 31 January for advance tickets. NA Meet & Greet location is still TBD. If you know of a great place or convention to have a TAW meet up – please let SOCOP know! SOCOP is pleased to introduce a new tournament “Glory of TAW”. The event is a two part round robin & single elimination tournament separate from TAW@WAR and still in the development stages. Therefore we need your help to finalize the blueprints; please take 5 minutes to complete a survey and help us create a fantastic tournament. Save the date!!! The first official TAW wide meet & greet!! We look forward to welcoming everyone to Antwerp, Belgium. Antwerp is truly a charming city with enough to keep you amazed for a lifetime, not to mention all the beer, fries and chocolate you can get! More information to come soon. That being said, the 2019 annual TAW Wide Meet & Greet will take place in NA. If you know of a great location with an upcoming convention or have the capacity to host a TAW meet up – please let SOCOP know! Be on the lookout for more information to come at a later date. If you have a game suggestion for the next TAW@WAR, please let SOCOP know! If you know of a great location with an upcoming convention or have the capacity to host a TAW meet up – please let SOCOP know! Whoo! There are a lot of events happening for 2018! We can’t get enough of them. If you ever need help organizing a tournament or a custom meet and greet, please feel free to pop in and ask any questions you might have. We are always happy to help! Lets kick this year off to an amazing start! 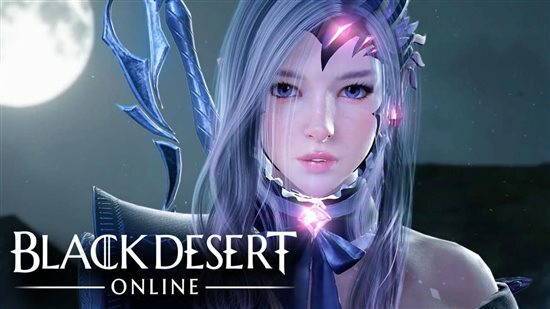 Vanguard is proud to announce that Black Desert Online (BDO) has hit Tier 2! With this, they are now open for internal transfers. If you would like to transfer to Black Desert Online or attend events with the team, please feel free to join them in their TeamSpeak channels in Vanguard. Once again, welcome to 2018. Our supplier knows we're all still recovering from Christmas and buy did we finish 2017 strong. But that's nothing to worry about. Our supplier is already starting us off with some amazing promotions. And it's the honor of the TAW Shop to be able to bring you all these great deals. 2018 is going to be filled with a lot of great promotions and more Division Wear/Corps Wear, not to mention some "event" designs. I am very excited to announce the addition of two new broadcasters to our staff here on TAW Radio! One of our most lovable former CC's the one and only VermGuy is joining our staff as a broadcaster! So lets welcome VermGuy to our amazing staff and be sure to tune into his broadcast! Additionally I would like to welcome SDMadwolf as he is our second newest Radio Broadcaster! 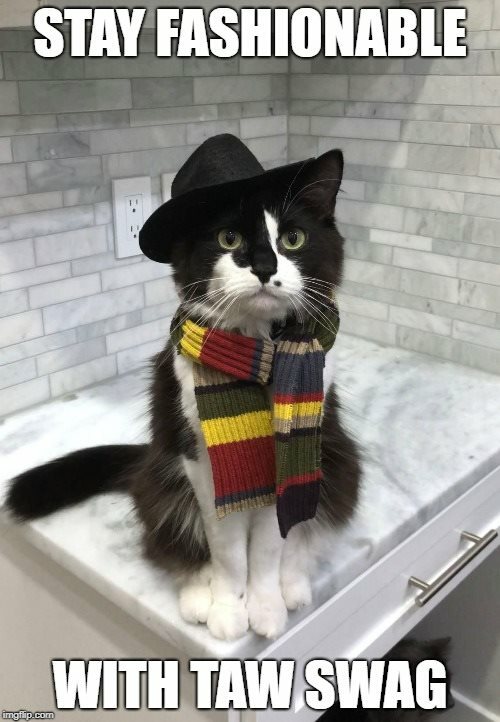 He is joining us from the WoW Division! TAW Radio has additional new content coming up, so please make sure to tune into http://tawradio.net for our new broadcasters and give them some love and support! Ultimate Sinner Cherry is continuing with the Ultimate Sinner so make sure to send your top 10 song requests to him at cherry@taw.net for a chance to become the weekly TAW Radio Ultimate Sinner! 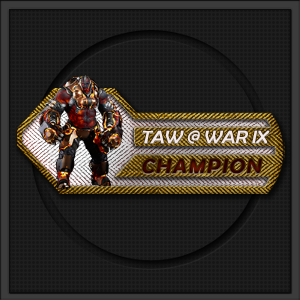 TAW@WAR IX sign-ups are closed now, and I want to thank everyone that signed up for participating, first of all! We have chosen Paragon to be our featured game, however at the time we made this decision, the publishers hadn't announced that the game was going to be shut down. I Appreciate that this might not be everyone's favourite genre, but fear not! Our next tournament will be based on a different genre. - The streaming office is for broadcasters & invited participants (post game) only. - "Game 1" & "Game 2" are for participants only, schedule can be found further down this post. There will be single elimination matches in a bracket style; which means the team that wins best 2 out of 3 will move on to the next round. 1 Sign Up Per Member; For team sign-up - only 1 member of your team should sign up. You have until the 10 February to practice and unlock heroes, however PREMIUM items or upgrades are not permitted during the tournament. [GFX DC] (with love <3 ). The winning team will get a special "champion" tab instead. 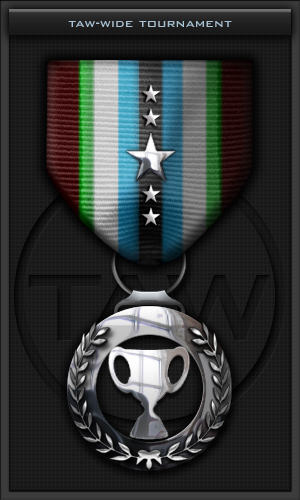 Along with bragging rights, the winners will also receive the coveted TAW-Wide Tournament Medal. This medal is exclusive as it is only awarded to two people or teams a YEAR. The Commander in Chief of TAW will present the medal to you directly, accompanied with the 5-star line shared with all other CIC awarded medals. Another thing that makes this medal special is the cup and laurel wreath; two symbols of champions used throughout history. The laurel wreath was commonly awarded to victors of battlefields and games. Woven from plant materials taken from the fighting grounds, the grass crown was the highest military honor in the Roman Army. The cup is still a common award, even in modern times. Hereby, I want to personally wish everyone participating good luck and a lot of fun! TAW Shop would like to start by welcoming everyone to 2018. 2017 was a huge change for the Shop: New staff, Division Wear, Corps Wear, the ability to customize your TAW Swag, and Meme's galore. But now we enter 2018. A New year with new challenges and even better promos. If you purchase from the Marketplace, send a screen shot confirming your order to either Shop DC or DO and we will issue you a TAW Swagster TAB.